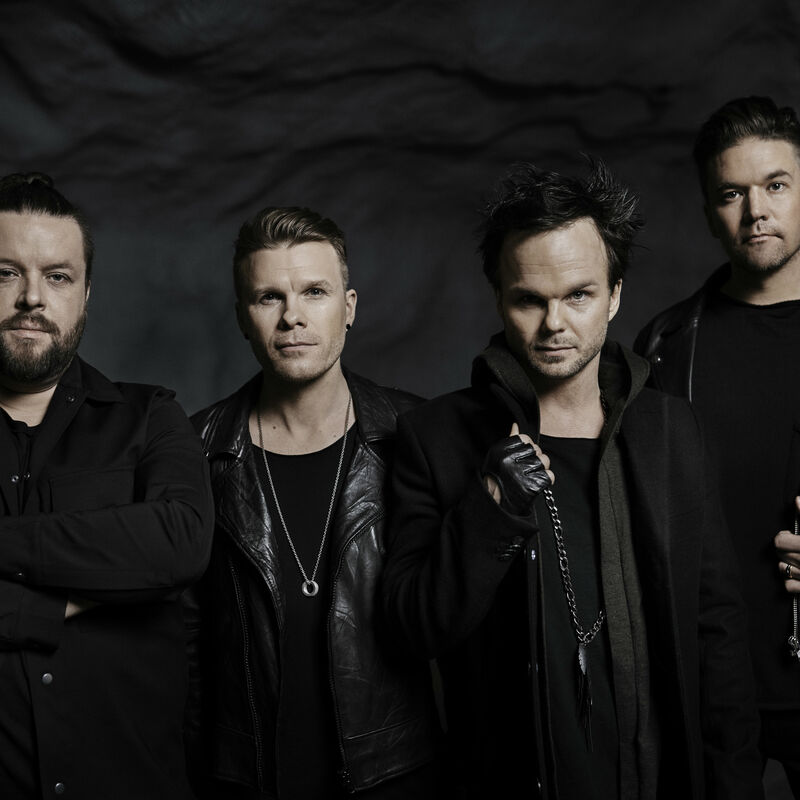 The Rasmus have released 8 studio albums between 1996 through 2012 in more than 50 territories worldwide. Album sales (CD/LP) total more than 2.3 million. The album »Dead Letters« (2003), featuring the single »In The Shadows«, was their big international breakthrough record. »Dead Letters« sold over 1.5 million copies worldwide, went Top 10 in 10 countries, including the UK, whilst reaching #1 in Germany, Austria and Finland. 2017 is the year that The Rasmus have set themselves for a big international comeback. The single »Paradise«, out March 31st 2017, showed that the band is not resting on their laurels nor former accomplishments. »Paradise« sounds fresh and modern, but still strikes that chord of familiar Nordic melancholia that resonates with the group’s hundreds of thousands of fans. The new album, »Dark Matters« was recorded and mixed in Stockholm, and produced by the very successful Swedish team, The Family (Iggy Azalea, Fifth Harmony). The second single, »Silver Night«, released August 25th, 2017, is the album’s lead track. »The thinking behind our new songs was to create the kind of music we would like to listen to. We haven’t abandoned our signature northern melancholy but you can hear a wide range of influences in our new compositions. The new album is like a rollercoaster with many different emotions and personal feelings. Our music is at times dark, speculative, melodic and sometimes even sad« singer Lauri Ylönen explains. Despite all the new innovations, The Rasmus doesn’t deviate so much from the familiar sound so welcomed and loved by their fans. A new album also means one thing that will cheer up their fans: a long world tour. »We are planning tours for 2017 and 2018 in most parts of the world, starting in November with Europe.« says Ylönen.